THE Bougainville Executive Council has confirmed that Bougainville Copper Ltd's application for extension of the term of its expired mining licence at the Panguna copper mine has not received necessary landowners' consent.Autonomous Bougainville Government President John Momis said his government would consult with the Panguna landowners on an appropriate arrangement or the best alternative model for the development of the mine. Until the consultation process is complete, the ABG will impose a moratorium over the grant of new licences for Panguna. Under the Bougainville Mining Act, a moratorium can only be implemented if there is no existing exploration licence. Special Mining Lease Osikaiyang Landowners Association chairman Philip Miriori thanked Momis and the ABG for respecting the association's opposition to BCL. 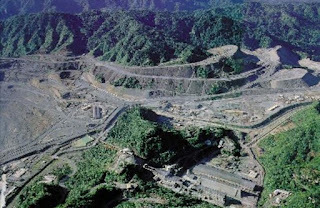 "The Panguna community broadly wants the mine to reopen," he said. "We welcome very much the statement of the president that the ABG will consult with the Panguna landowners to determine the best alternative model for the development of Panguna."